Fibre is the basis of everything: Création Baumann company is in the main role. Yarn is the basic material for the fabrics of Création Baumann company. The exhibition "Designers' Saturday 2016" is in the focus on November 5-6. 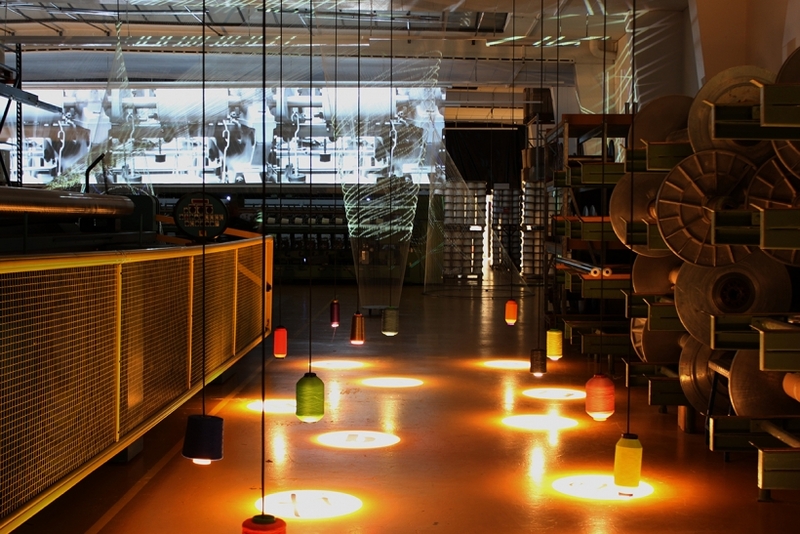 When Langenthal is transformed into "a place worth visiting" Création Baumann company presents the space consisting of fibres and spools for yarn, light and movement for getting acquainted with innovative design and a lively exchange of views. Designer Benjamin Thut and design team of Création Baumann company created a truly unusual presentation. 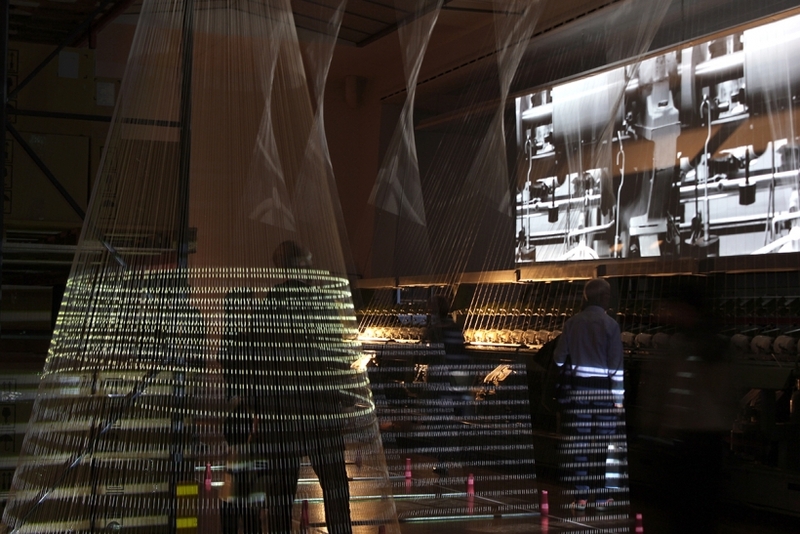 Textile architecture is created using the base material, which is gaining more and more space, drawing the visitors into a fascinating journey. Fibre is a "raw material" for the production of fabrics of Création Baumann company and at the same time it is an extremely valuable treasure. The process of producing high-quality and innovative fabrics starts from fibre. Nevertheless, the work begins even earlier. Création Baumann company not only processes the fibre, but also develops it. This is a special area in which Langenthal manufacturing company works, as it is well known that the raw material is the basis for the success of a fabric. "Good yarn gives good cloth," the old saying goes. But how to produce a high-quality fabric? Création Baumann company with representation in the winding department of the company raises this question. There, as a rule, a winding of yarn, produced specifically for Création Baumann company, usually takes place in order to improve the quality or dyeing, or for the simple purpose of the spools being suitable for use in the company's own machines and could be used for further processing. At the exhibition "Designers' Saturday 2016" a source material serves as the inspiration idea, but at the same time – as the basic material for the presentation of space. In a place where a yarn is brought every day, and thousands of fibres are wound on the spools, curled, dyed, weaved, stuffed and sized, the raw material is the protagonist of emotional installation. 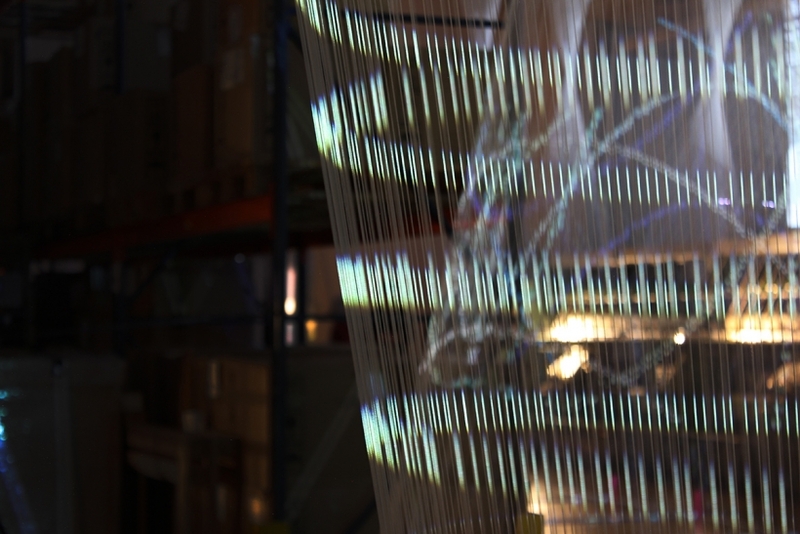 An air ballet of multicolored shiny fibres and spools fascinates with a very special atmosphere and plays with motion and colors, light and shadow. 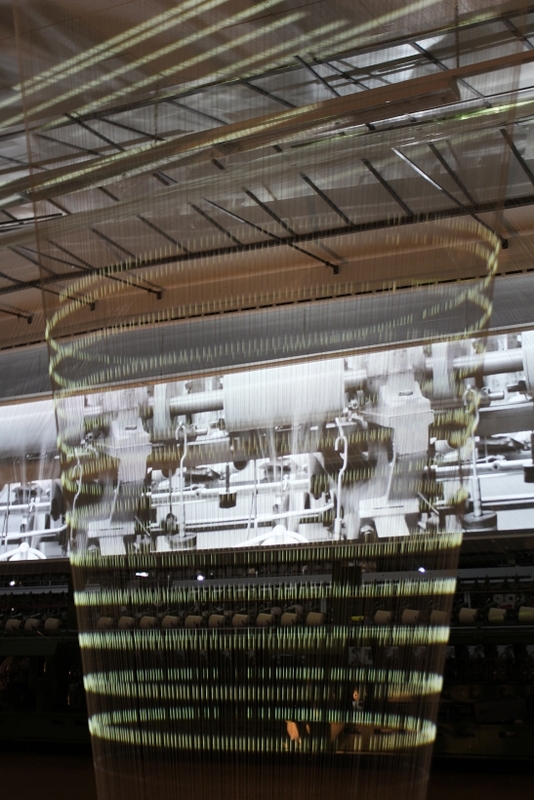 Coming out of the winding machines, yarn takes up space, creates more and more complex structures, and finally becomes a work of architecture. In a variety of black-and-white episodes the short films give the visitors an excellent opportunity to get acquainted with the production and here fibre is also the main actor. Création Baumann company produces the high-quality fabrics for the interior in Langenthal (Switzerland) for more than 130 years. Along with the production of first-class decorative curtain fabrics and upholstery fabrics for furniture used for personal use and in the field of commercial purposes, the enterprise has an international reputation due to the development of innovative fabrics with special functions. In the area of development of fabrics for sound insulation, anti-glare protection and thermal protection, and dimming Création Baumann company occupies a leading place in the world. This is possible as a result of vertical integration: the company carries out the design, research and development, production and marketing on its own. Création Baumann company with its unusual and diverse fabrics refers to the world's leading manufacturers of fabrics. Thanks to the exhibition halls in Paris, London, New York, Tokyo, etc., fabrics are sold around the world. In addition, Création Baumann company is represented by agencies and distributors worldwide.